We are seeking passionate and enthusiastic Sports Trainers that work well as part of a team to join our club. Our club prides itself on providing a family friendly environment, which is inclusive and supportive of our club culture. This is a fantastic opportunity for trainers to practice their skills autonomously and independently. The role would suit but not limited to a reliable Physiotherapy, Osteopathy, Massage, Nursing or Exercise Science student. Taping, injury management, sports massage, liaising with physiotherapist and coaches, stock management. • Level 1 Sports Trainer certificate highly regarded. • Basic First Aid certificate required. • Assistance can be made to acquire certification. • Availability for training (Tuesday and Thursday 5.30pm-7.30pm) is preferred but negotiable. • We are flexible and willing to adapt to personal circumstances if you are interested but your situation does not suit certain requirements. 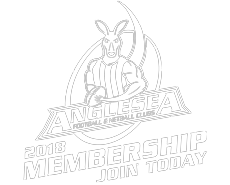 • Applications to info@angleseaphysiotherapy.com.au or call Adam Saw at Anglesea Physiotherapy Clinic on 52 631211 if interested.